The other day I saw this picture on Christine Caine's Instagram account, and immediately, I thought of my time in Mexico. Before I left for Mexico, the big question for everyone I encountered was "Why?" And it wasn't just "Why are you going to Mexico?" It was a slew of other more specific and prying questions, such as "Why do you have to go now? Why Chihuahua? Why New Tribes Mission?" So. many. questions. Some of which I was prepared for, and others for which I most certainly was not. The bottom line is, now people's thoughts and questions have shifted to "How did you do that?!" To be completely honest, I often ask myself the same question. How in the world did I do that? How did I leave my friends and family, my comfortable culture, my familiarity, my community, for two years to live in one of the most dangerous cities in the world where I knew not one soul? The only way I did it was through faith in Jesus Christ. Trusting that He was not only going to provide and go before me to Chihuahua was the hardest thing I had ever done. I had so many questions, doubts, and fears. And as always, none of my worst fears was ever realized. Instead, I was blessed to experience a plethora of amazing opportunities and developed relationships with some of the sweetest and dearest people I know and now am privileged to call close friends. The Lord showed Himself faithful to me over and over and over again. He gave me grace upon grace. He stretched me beyond the point at which I thought I could be stretched. He provided for me and met every one of my needs, even the deepest ones that I didn't tell people about in the usually sunny newsletters. Because that's who He is. He is faithful. And He's good. All the time. 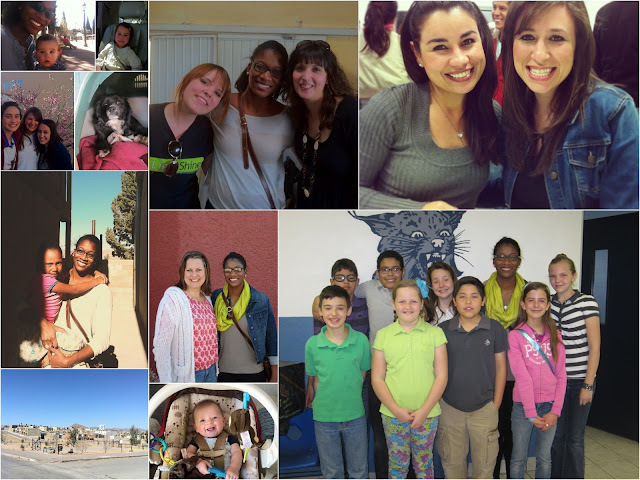 Over spring break, I was able to visit Chihuahua and see so many of the wonderful people who I love and miss. The time there was brief, but I was so grateful for every moment spent with all of my friends and the people who adopted me and took me under their wing for those two precious years. In about a week, it will have been exactly one year since I left Chihuahua. In some ways it seems like it hasn't been that long, but then I also feel as though I have been gone forever. Many people asked while I was there (and continue to ask me now here in the States) when or if I will be coming back to live there. While I love Chihuahua and will forever hold it in my heart, I know that that season in my life is now over. Mexico is a country forever on my heart, and Chihuahua feels like home to me. But now the Lord has me here in Athens, so I'll be grateful and ask Him to help me honor His name through the new task He's given me.